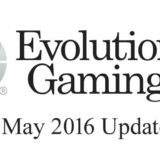 May & June 2016 are busy months at Evolution Gaming as they continue to make improvements. 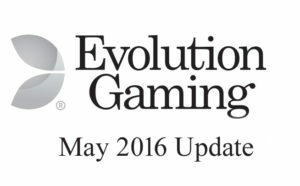 It’s taken it’s while to appear and Evolution are not the first in having a “Deal Now” button for Live Blackjack. Players playing at a table on their own no longer have to wait for the timer to count down before being able to play their hand. Now you can hit the “Deal Now” button as soon as you’ve placed your bet. That response is then sent to the Evolution server and the dealing can start. It’s more likely to be of value to VIP and High Rollers playing for larger stakes as quite often these tables have less players on them. I doubt very much you’ll be in a position to see it on one of the lower stakes tables as generally they are very busy. The facility is only available on tables that are using the new UI. The facility is also available on mobile. One of Evolutions most popular card games, Live 3 Card Poker, has finally been launched on mobile. The game was created in partnership with Scientific Games and has been a big success on the desktop. Now it’s available on tablet and smartphone. The game uses the new UI so there is consistency between the desktop and mobile. You get all the features of the desktop game with mobile play including the Pairs Plus and Six Card Bonus bets. You’ve probably already noticed that the new UI is being rolled out. It’s being done in a logical manner and so far we’ve seen it rolled out as follows. 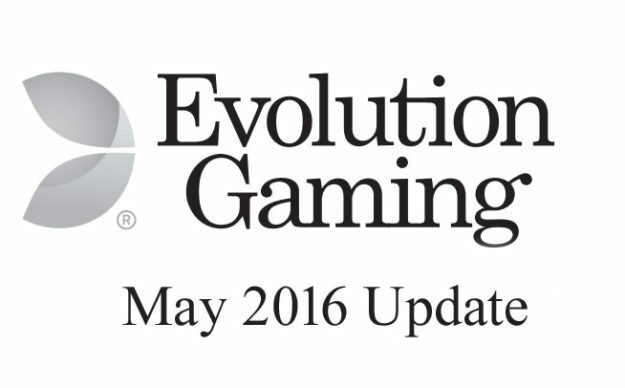 A New 3D View being added to all Live Roulette tables. During May we’ve also seen Live Blackjack rollout the new UI, starting with the general play tables and then moving to the dedicated areas. To meet the projected additional demand during Euro 2016 (10 June–10 July) — eight new shared Blackjack tables are being added. The new additions include four low stake Live Blackjack tables, three additional Silver VIP Live Blackjack tables and a new 24/7 Grand VIP Live Blackjack table with a minimum betting limit of €500. In addition, the minimum bet will be lowered on all but one existing Blackjack table and two mainstream tables will have their opening hours extended to 24/7.